Το Sunny Day Guest House, που βρίσκεται στη Μονγκόκ, είναι το ιδανικό σημείο αναχώρησης για τις εκδρομές σας στη Χονγκ Κονγκ. Σε μια τοποθεσία μόλις από την συναρπαστική ζωή της πόλης, αυτό το 1 αστέρων ξενοδοχείο αποτελεί ένα εξαιρετικό μέρος και παρέχει εύκολη πρόσβαση στα μεγαλύτερα αξιοθέατα της πόλης. Με την βολική του τοποθεσία, το ξενοδοχείο προσφέρει εύκολη πρόσβαση στους προορισμούς της πόλης που πρέπει οπωσδήποτε να δείτε. Το Sunny Day Guest House προσφέρει άψογη εξυπηρέτηση και όλες τις βασικές ανέσεις στους ενθουσιώδεις ταξιδιώτες. Κατά την διαμονή σας σε αυτό το υπέροχο ξενοδοχείο, μπορείτε να απολαύσετε τα δωρεάν WiFi σε όλα τα δωμάτια, ημερήσιος καθαρισμός, φύλαξη αποσκευών, ασύρματη σύνδεση Wi-Fi σε δημόσιους χώρους, οικογενειακό δωμάτιο. Τα δωμάτια του ξενοδοχείου έχουν διαμορφωθεί προσεκτικά ώστε να παρέχουν υψηλό επίπεδο άνεσης και την ευκολίας. Σε κάποια από τα δωμάτια, οι επισκέπτες μπορούν να βρουν πετσέτες, κρεμάστρα ρούχων, παντόφλες, καθρέφτης, λευκά είδη. Εξάλλου, το ξενοδοχείο διοργανώνει πολλά ψυχαγωγικά δρώμενα έτσι ώστε να έχετε πολλά πράγματα να κάνετε κατά τη διαμονή σας. Το Sunny Day Guest House είναι ο ένας και μοναδικός προορισμός για εσάς που ψάχνετε ποιοτικά καταλύματα στη Χονγκ Κονγκ. First point the picture of the room shows a larger room with bunk beds. Ours was not that so five persons had to sleep in two beds. Second it was untidy so after some days we where infested by a plague of beasts which bite us at night and got worse from day to day. 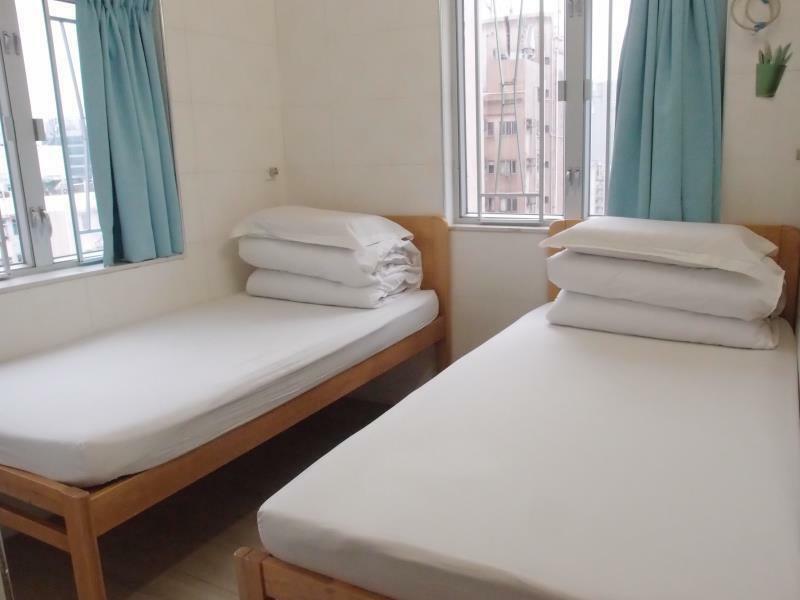 Stay somewhere else if you have the budget because the only thing good about this is it's location (near mtr, bus stop, restaurants, and shopping area). This is a place where there's just a bed and a shower, don't expect anything else, not even decent towels (bring your own if you can't get by with a hand towel). The temperature of the shower is also uncontrollable. It can get very hot. Don't also expect a reception where there's a staff you can approach for assistance anytime. Staff does not speak and understand English so it's hard to communicate with them. If you book this place, don't expect anything or look for any facilities. 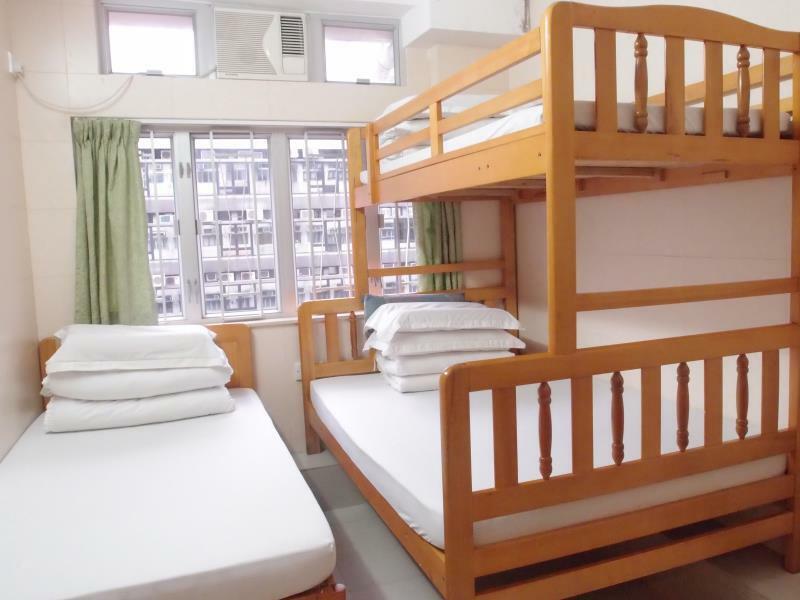 This is just a tiny room with a bed and a shower in a very old and run-down building which is typical in Hong Kong. The person who checked us in is helpful although it was a challenge to talk to him because he doesn't speak nor understand English. Very Small room, the pillow smells, flood everytime i use the shower, the staff cant talk in english good thing my daughter's husband can speak cantonese or else we will never understand her. Aircon is cold, they dont change the fitted sheets, blanket and pillow case everyday. If you are claustrophobic then this is not for you. No cable tv. Oh and the water heater for coffee smells bad!!!!! I hope they change it because it smells like a man with horrible body odor. The good side is its very near at mongkok mtr station, ladies market and nathan road. So many convenience store like 711 and kmart. So many stores to choose from. Airport bus stop is very near!! Its good for just sleeping and rest only. Secured key room and entrance. 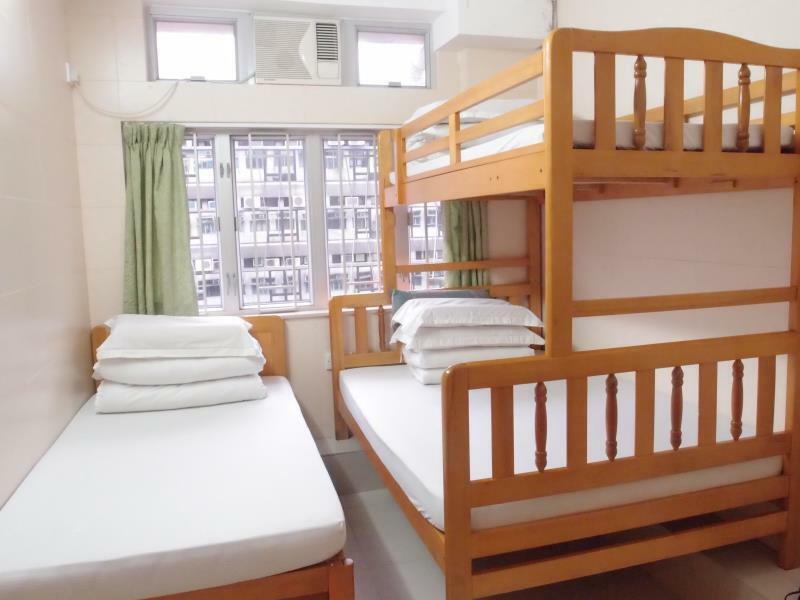 Pros - Very near at mongkok mtr station and A21 Bus Stop going to the airport. convenience store are also near. many shops around. The aircon is cold, hot shower. room is clean everyday they change the towels. secured room. Cons - small room. everytime i shower there's flood everywhere!! they dont change the fitted sheets. we stayed for 4 days, only 1 fitted sheet. small towel so you need to bring your own towel and yeah the 2nd day when they change the towels theres a booger. disgusting! good thing i brought my own towel. you can hear the others talking outside! Σταθμός MTR Mong Kok στα 0.26 χλμ.